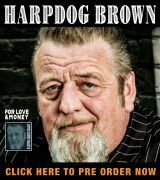 Singer, songwriter and harmonica player Big Harp George’s debut album, Chromaticism, was nominated as Best New Artist Debut Album in the 2015 Blues Blast Music Awards. His new album, Uptown Cool, continues the path blazed by Chromaticism and his sophomore effort, Wash My Horse In Champagne, albeit this time with the added horns of Michael Peloquin (sax) and Mike Rinta (trombone and tuba). Uptown Cool features sharply written songs with clever lyrics, excellent singing, stellar support from the likes of Kid Andersen and Little Charlie Baty and outstanding chromatic harmonica playing. 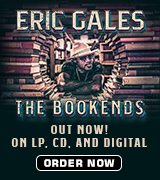 Musicians on the album include Chris Burns on keyboards, Alexander Pettersen on drums, Joe Kyle on bass, Loralee Christensen on back up vocals (and shared lead vocals on “Just Calm Yourself”), D’Mar on percussion and Derick Hughes on backing vocals. Through it all, George’s distinctive chromatic harp lays down a series of memorable solos. The key to the album however is not in the technical virtuosity of the musicians, undeniable though that is. This is an album of songs and everything played by the musicians is done so purely to support and enhance the song. Uptown Cool was produced by Chris Burns and engineered by Kid Andersen at Andersen’s Greaseland Studios in San Jose. Burns and Andersen deserve kudos for capturing some sparkling performances. 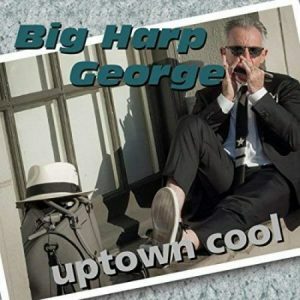 Overall, Uptown Cool is a very, very good release from Big Harp George. If you enjoy the modern West-Coast-meets-Chicago blues of someone like Rick Estrin & The Nightcats, you will definitely want to pick up a copy.